What is referred to as “standing” to sue are the legal terms which pertains to the right to file a lawsuit in a particular case. Because Georgia law is unique, it is not always clear who has the right to sue (the “standing”) for a wrongful death caused by the negligent act of a third party. If, in a hypothetical case, as a result of a severe tractor-trailer collision or car accident an innocent person is killed, the initial question that must be posed is who has the standing or the right to bring the claim for the wrongful death of the decedent. Typically, the answer is the heir-at-law or heirs-at-law of the decedent. If none exists, then the Administrator or Administratrix of the estate has the right to bring the claim. Using our hypothetical, in such a case, if the decedent were married, the spouse would have the right or standing to sue. If the decedent was not married, but had children, the children would have the right to sue and, of course, if they were minors a Guardian-At-Litem would have to be appointed for such a purpose. If the decedent had neither a spouse nor children, then if the decedent’s parents were still alive, they would have the right to sue. If there were no parents alive, then the decedent’s siblings would have a right to sue. Again, if there were no family members alive, then the Administrator of the estate could bring the claim. It is not unusual for our firm to receive telephone calls from family members inquiring about the right to file a claim for a wrongful death action. Oftentimes a brother will call seeking legal representation in a wrongful death case only to be told that a brother has no right to sue or standing because the decedent was survived by a spouse or children. This is true even in cases where divorce was contemplated or the parties separated. While every case is unique, the standard rule is that only heirs-at-law have a right to sue in a wrongful death case. 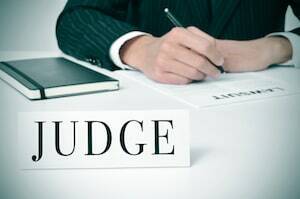 In order to assess whether anyone has the right or a standing to sue in Georgia, experienced counsel should be consulted with early on in a case to determine who has the right to bring a claim for a wrongful death action in Georgia.